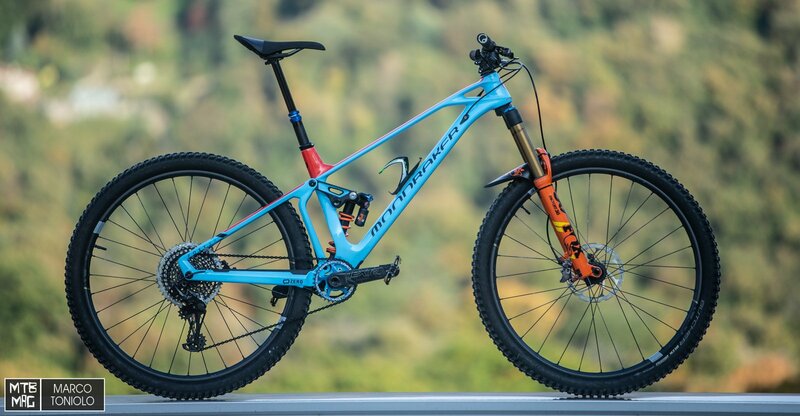 After giving back the glorious Yeti SB 5.5 I’ve built up a new beast that will keep me company for the coming year: a Mondraker Foxy 29 carbon. 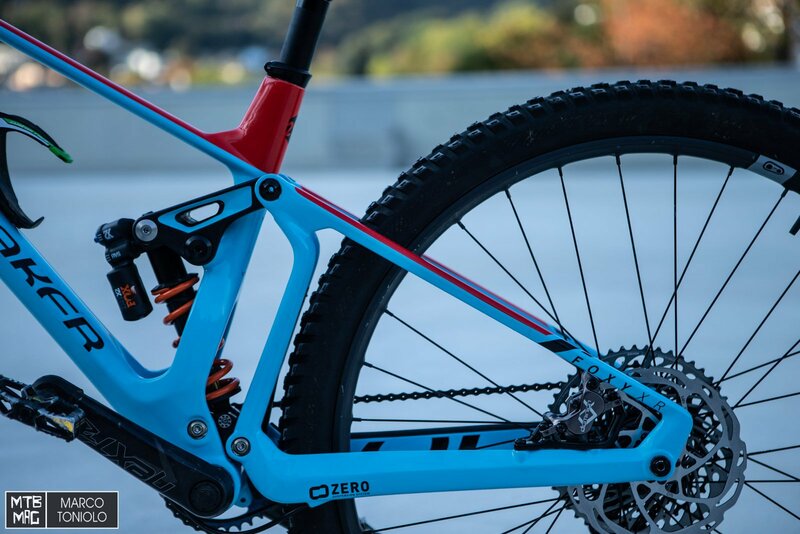 I’ve already tested the bike a few months ago, but the results of that test (in short: I liked it a lot) prompted me to ask the Italian distributor for a frame to build up with custom components that you’ll find in several tests over the coming months. 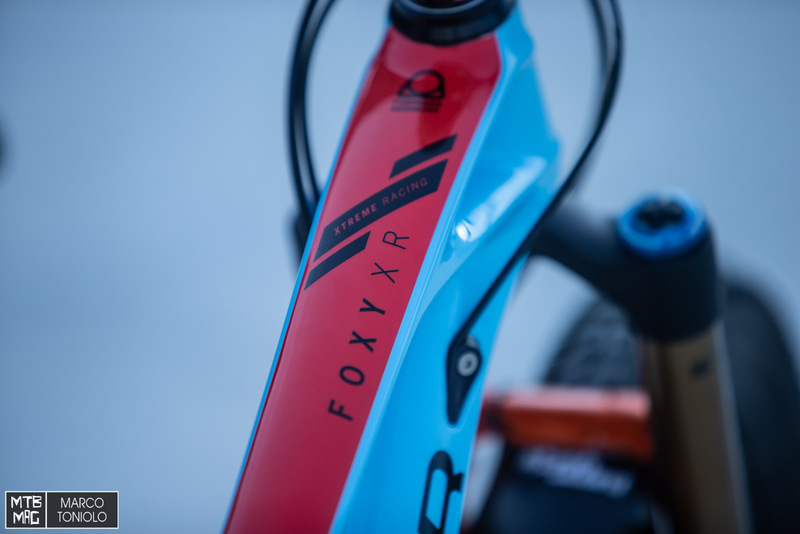 The frame is the flagship offering with a Fox X2 coil sprung rear shock with lever for a speedy lockout, set to my weight: 30% of sag and with any type of adjustment you could wish for. The frame is big on detail, even though the internal cable routing is not guided and required a little ‘patience’ during assembly. The cable ports are solid and help to avoid any rattling in the frame. 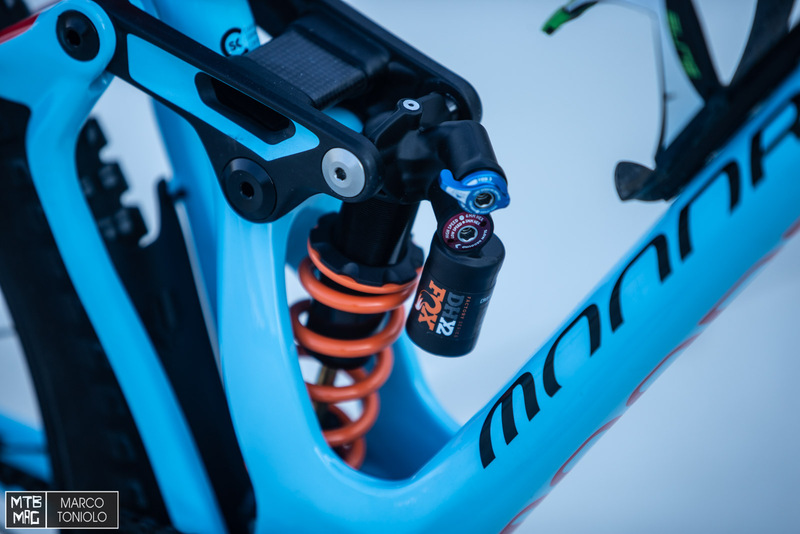 The suspension system is the classic “Zero System” from Mondraker, while the chainstay’s angle is perfectly matched to that of the down tube, if you look at it from the side. Aesthetically, it’s one of the best designs that I’ve seen on the market today. 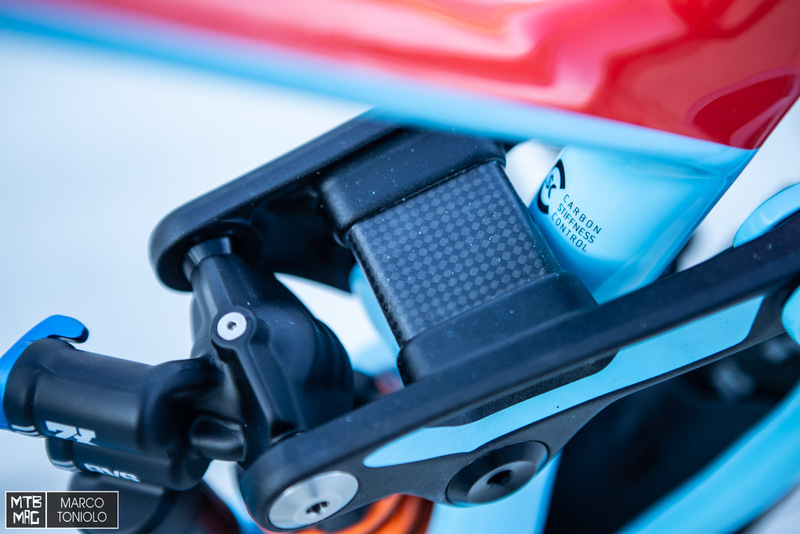 Detail on the carbon fiber bridge that connects the two linkage plates which drive the shock. 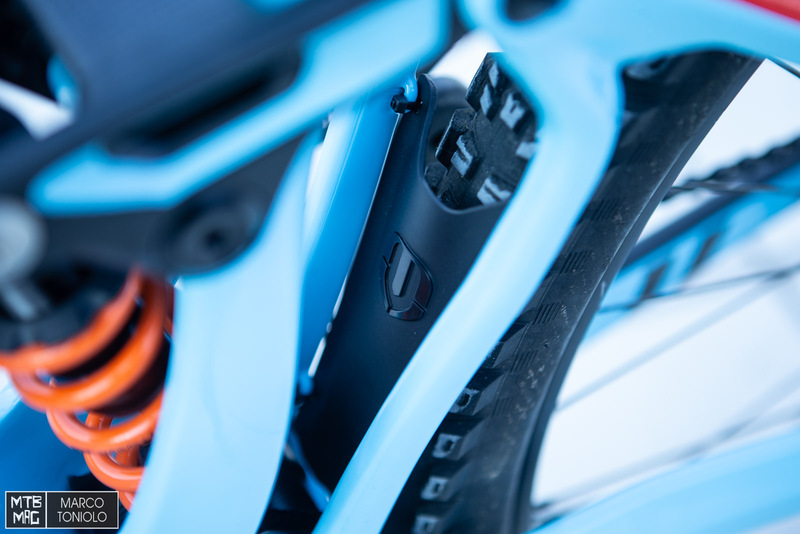 Detail of the sheath that protects the rear shock from spray and mud coming off of the back tire. 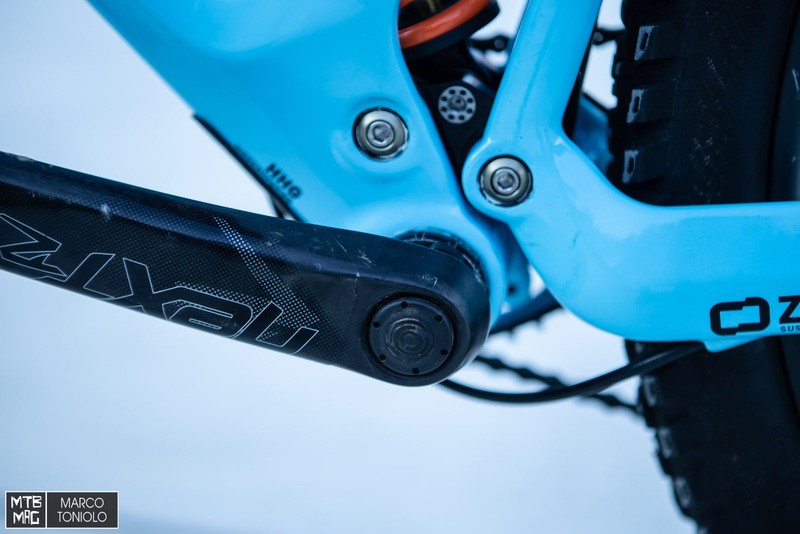 Mondraker uses “Forward Geometry”. They were first to have adopted a more extreme approach to the whole “long reach, short stem” idea. 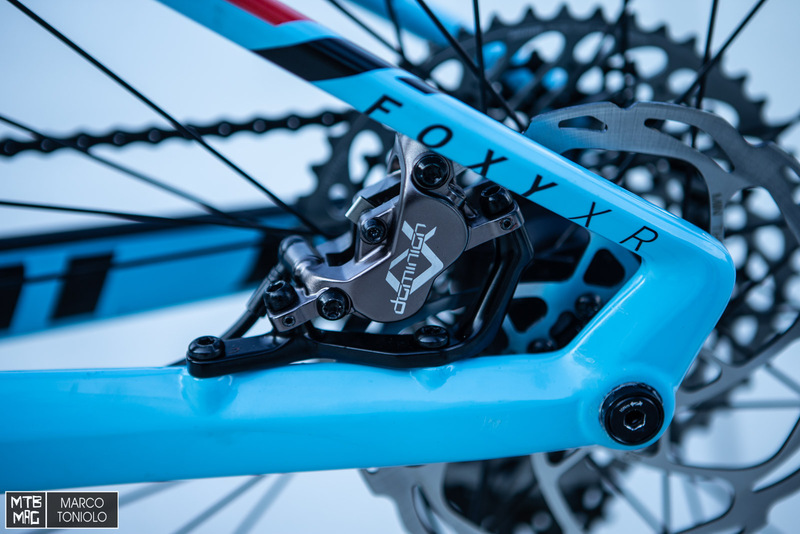 The reach of Foxy is 470mm in size medium, in test, while the stem is very short, at only 30mm. Other geometry here . The attachment of the rear brake caliper is rather unconventional. 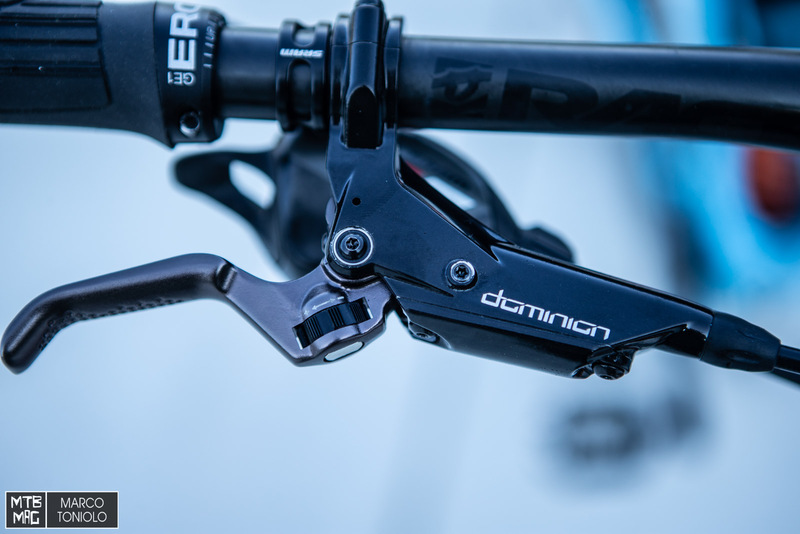 They are the new Hayes Dominion A4, with 180mm rotors in front and back. For assembly I shortened both cables and bled the system. It was easy to do, you can even use Avid / Sram syringes. 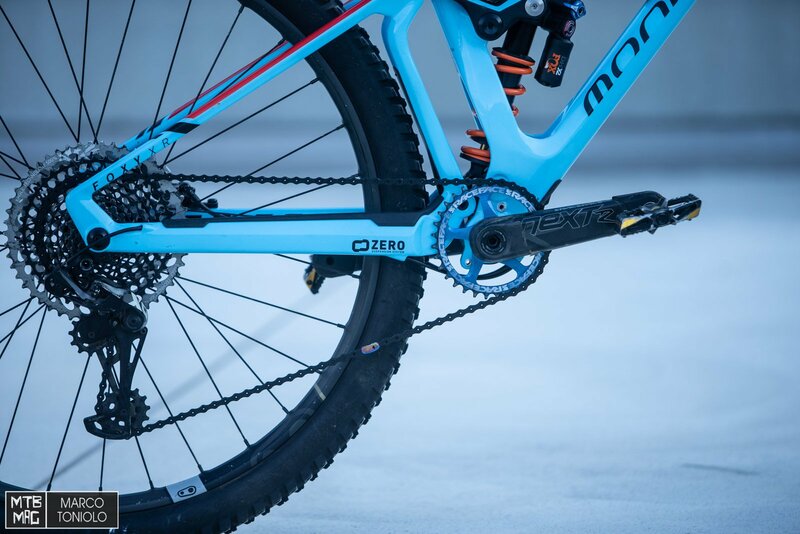 The drivetrain is an Eagle X01 1 × 12 SRAM with Race Face Next R crankset and a 32-tooth chainring. The pedals are Crank Brothers Mallet E.
On the left crank you can see the Race Face Cinc powermeter, which I will follow up with a long term test on. I mounted my favorite wheels of the moment, those would be the new Crank Brothers Synthesis E11. 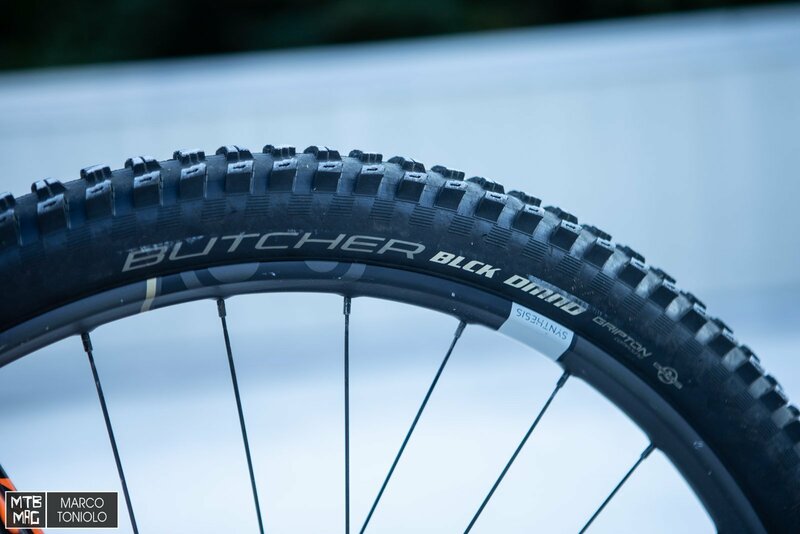 The tire knobs are extremely massive and aggressive, with the Specialized Butcher 2.3 BLCK DMND . They weigh about 1,150 grams each, but their performance is really up there, as you will soon read in a dedicated test. The rear tire has no logos because it’s a prototype. 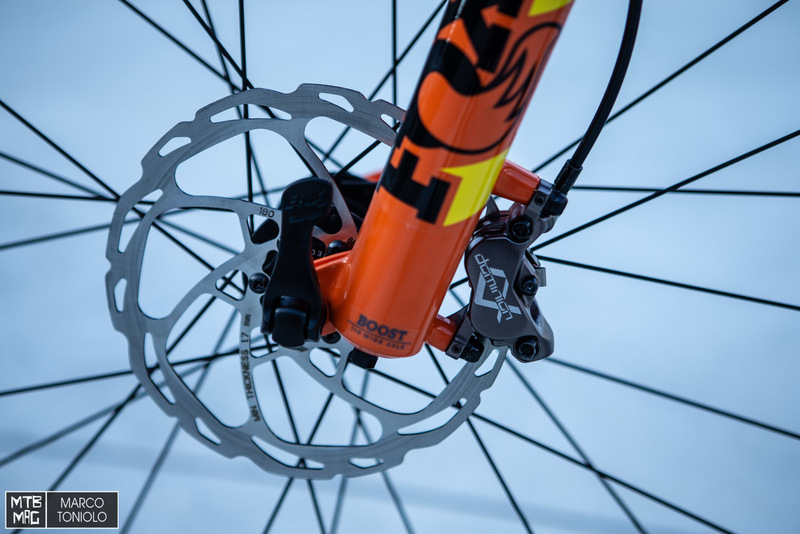 The fork is a Factory 36 with 160mm of travel and a 44mm offset. Get ready for a comparison with the new Lyrik . 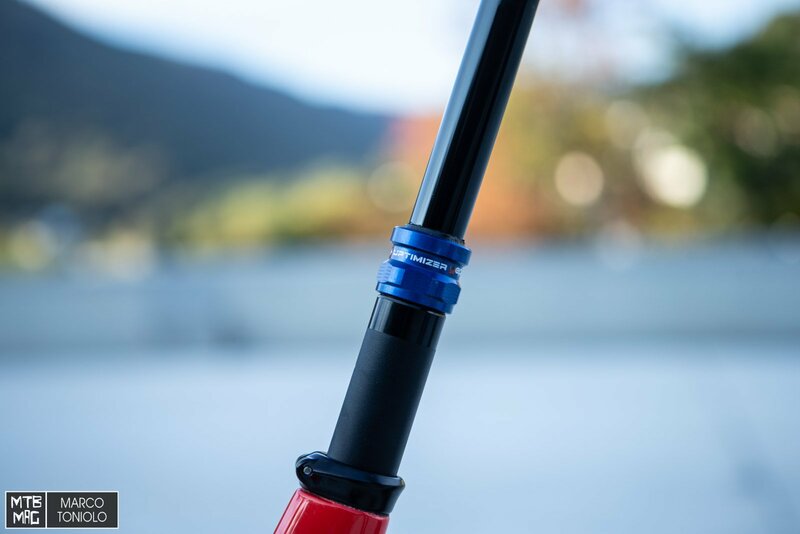 155mm Yep Components Uptimizer 2.0 dropper seatpost . Abundant space for the rear tire’s clearance. The saddle is a Sella Fizik Aliante. It’s not marketed purely to MTB, but I liked it a lot during the Grail Canyon test, especially on long rides, so I decided to mount it here. 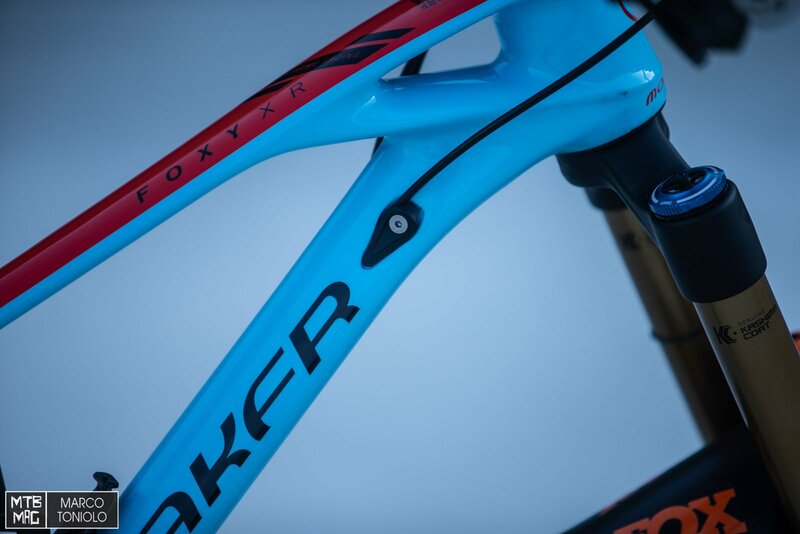 The handlebar is a Race Face Next R – 800mm wide. 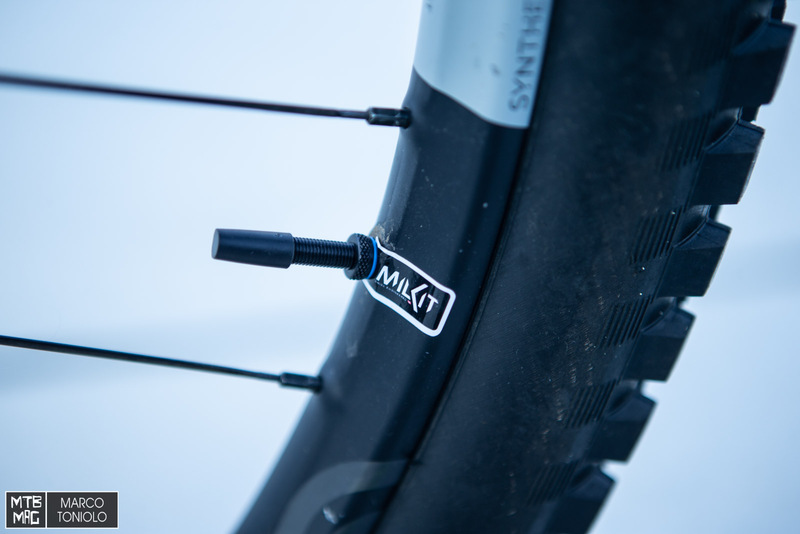 It’s the same one I had mounted on my Yeti SB-5.5, with a diameter of 35mm, while the grips are the Ergon GE1 Evo . The valves are from Milkit . 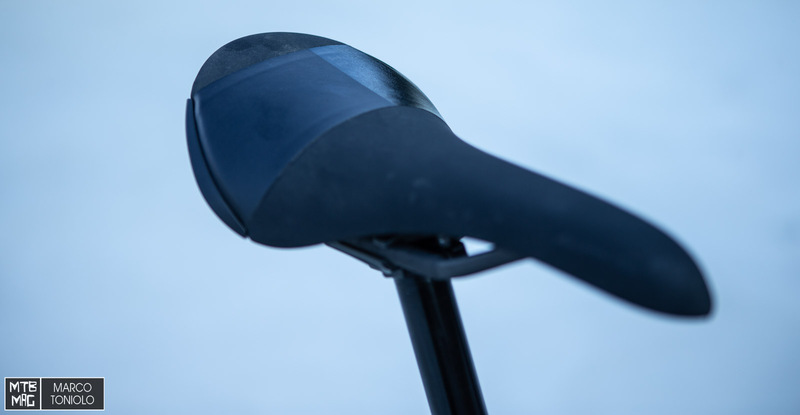 The weight of the complete bike without pedals is 13.9kg. 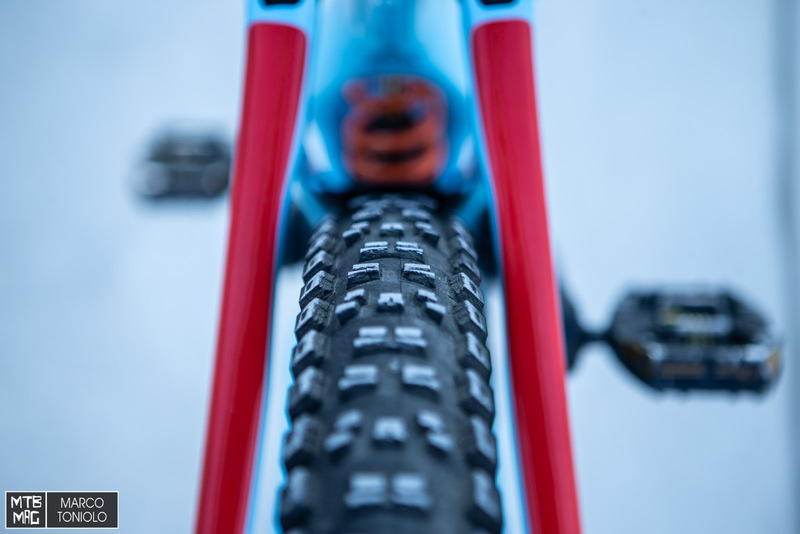 but keep in mind, the tires and rims are really massive and downhill oriented, I also have another set of lighter wheels that will drop the weight down to 13.3 kg. Fox is also sending me an air shock to cut another 300 grams. 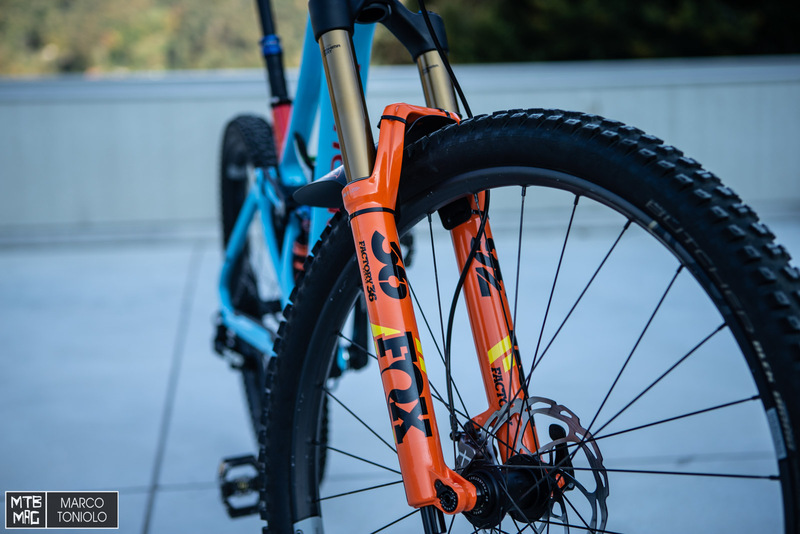 Prepare to see the Foxy 29 often, because it will be used to test-ride new components that I will by trying in the coming months!